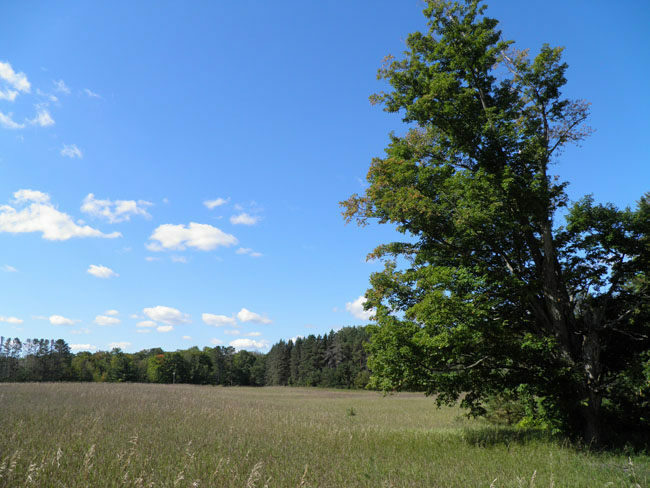 Tucked away in the ridges above Lake Charlevoix is Nathan "Barry" Driggers Memorial Preserve, a 75-acre tract with a colorful history that is now owned and managed by the Little Traverse Conservancy. 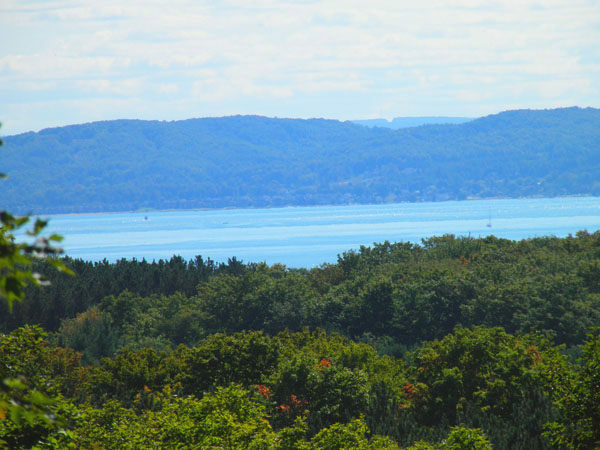 Traditionally known as Lake Charlevoix Farm, the nature preserve includes a pine plantation, open fields, and high, forested ridges with views of Lake Charlevoix. Meandering across the property is 1.5-mile trail system that is open to hikers, cross-country skiers, snowshoers and mountain bikers. The main house, now adjacent to the preserve property, was originally built by a veteran of the Civil War and eventually the farm evolved into the main dairy serving Boyne City. Throughout its history it was an accepted tradition for the owners to allow locals to hike the property and enjoy the views from the ridges. When a Florida-based development group announced plans in 2003 to build more than 20 homes on the ridges with views of Lake Charlevoix, a drive began to preserve the farm. After several years of organizing and fundrising, the Little Traverse Conservancy purchased the tract in 2007 and opened it up the following year. The preserve includes more than a half mile of scenic Boyne City-Charlevoix Road and from there rises 100 feet in elevation to a ridge-top vista. The tract is split by a small stream and graced with mature hemlocks, maples and beech trees. Driggers is an excellent destination for birding, family outings and fall color hikes. Mountain biking is allowed but most off-road cyclists head elsewhere for more extensive trail systems likethe nearby Avalanche Preserve. The route described below is the perimeter of the trail system with a bit of backtracking but is still only a 1.6-mile outing. Both snowshoers and Nordic skiers make use of the limited trail system at Driggers. The trails are occasionally groomed by volunteers and set with tracks for classic cross-country skiing. 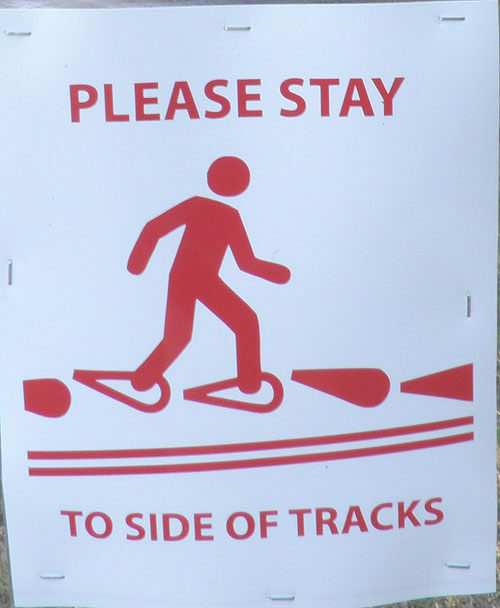 The trails are rated moderate and do include some downhill runs but can be handled by most novice skiers. At the east end of the preserve is a small parking area off of Boyne City-Charlevoix Road that is plowed throughout the winter, providing room for three cars. Like most preserves managed by the Little Traverse Conservancy, the trails at Driggers are well marked with maps at most junctions and easy to follow. From the main trailhead, a trail heads north in an open field briefly before reaching a marked junction where this route heads right to enter a pine plantation. At Mile 0.35 from the trailhead you reach the junction with a side loop, a spur that is less than a quarter mile long. You return to the junction, head right and then quickly reach the spur to the ridge-top overlook. It’s a steady climb to the vista where along the way the trail passes some impressive beech and maple trees. The vista is reached at Mile 0.8 where there is a bench and, depending on the time of year, views of rolling farm fields in one direction and Lake Charlevoix in the other. Backtrack to the main loop. If this is winter skiers need to be careful on this stretch as the descent is a long downhill dogleg. You bottom out only to climb another ridge where at the top the trail swings south and at Mile 1 pops out of the forest at a posted junction. To the east (left) a trail heads back down the ridge and remains in the forest. To the south (right) the trail remains in the open fields where there are good views of Lake Charlevoix and the vintage barns that dot the area. At Mile 1.3 the trail re-enters the words and descends the ridge, re-entering open fields at the bottom. The first junction is soon reached where you head south (right) to return to the trailhead and parking area. Other than a parking area and a display map, there are no other facilities at the Driggers Memorial Preserve trailhead. 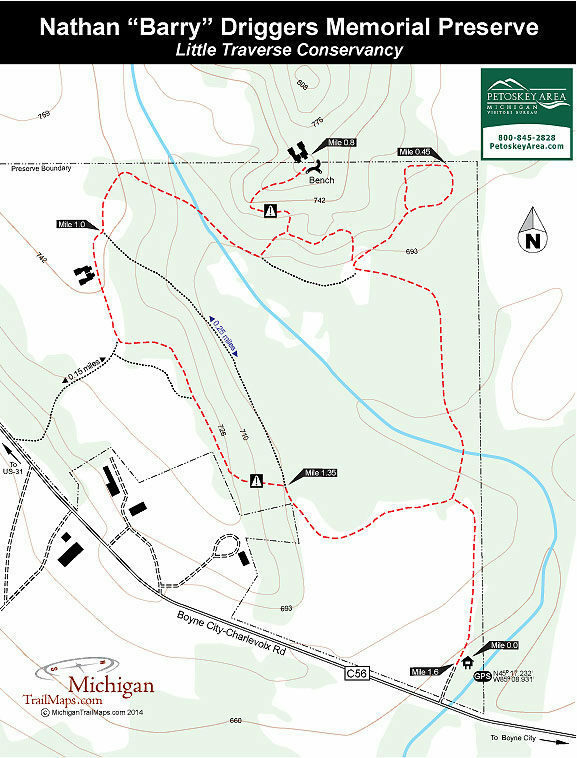 There are no vehicle or entry fees to hike at Driggers Memorial Preserve. From the intersection of US-31 just north of Charlevoix, head east on the Boyne City-Charlevoix Road and travel 5.3 miles. The preserve is found on the left side of the road between Burgess and Maple Grove Roads.